Its amazing what can happen when you bring in real talent. Last year we brought in a new team member in social media, who proved her capabilities so fast that we promoted her to Director of Citizen Outreach. We’ve known for over a year that the time was drawing near to figure out how to tell the TrustTheVote Project story to the public. Specifically, sharing our mission with those other than elections professionals and government. Meegan Gregg did it. And it appears (to use a baseball term) to be a “Walk-off Home Run” or maybe a “drop the mic” result. Today we’re launching our story, in a 2-minute video developed by a team led by Meegan. It involved an enormously generous grant from XPLANE, the visual story-telling firm, and implemented by the talented production work of several supporting firms including, PingPongPop and Marmoset for voice-over and music; TalkBack for sound & video integration, and RoboToro for web engineering. So, what’s the point; why the video, and why now? Candidly, we need to engage the public’s interest and support for our Project. Our operation needs the support of the people, because the TrustTheVote Project is by the people and for the people. We’re building a 21st century “democracy operating system,” ElectOS to increase integrity, lower cost, improve voter experience, and maybe help turn-out. The video is the best way to tell a story of a complex Silicon Valley project underway by some of the same folks who helped bring you products from Apple and the web browser from Netscape. It connects citizens to a real and pressing problem that is consuming lots of media attention right now in this election cycle: our crumbling voting systems infrastructure. Now, there is no need to panic: what’s in production now will make it through this election—despite one candidate suggesting there will be “rigging.” But 43 States have to replace their machinery by 2020, which will be here before we know it. And their choice is to replace their existing stuff with more of the same. And that stuff is mostly built on 90’s personal computers. But the time to address this problem and engage the public is now because this election cycle is upon us, and while we’ll make it through (although we fear there will be challenges and recounts), we the people can improve our own voting experience, increase confidence in elections and their outcomes, and trust the vote. Our civic duty and civil right to free and fair elections is the single most important liberty we have as American citizens. 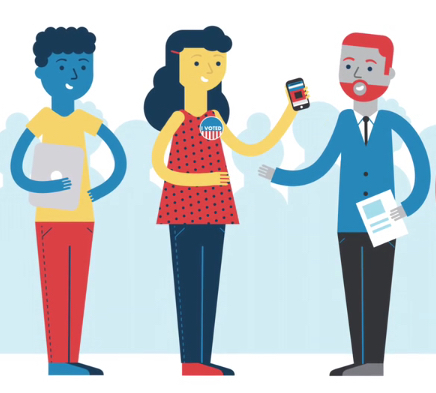 This video explains how we, the people can with your support ensure that liberty is preserved in a time where election technology has become an under-funded disregarded backwater of government I.T. So please have a look at our new story and tell us what you think!